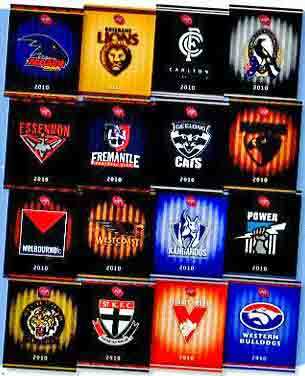 Australia Post has again released a special pack for each Australian Football League (AFL) team. Each pack contains two sheetlets of 10 Globe and Map stamps. The stamps are arranged in a block of ten (2 x 5), with tabs on the left and right. The sheetlets are essentially the same as those in the 2009 packs, except with new photographs on the tabs and updated information in sheetlet margins. Eight packs were available for sale on Australia Post's webshop on 25 March, with the remaining eight added in two lots of four over the next week. 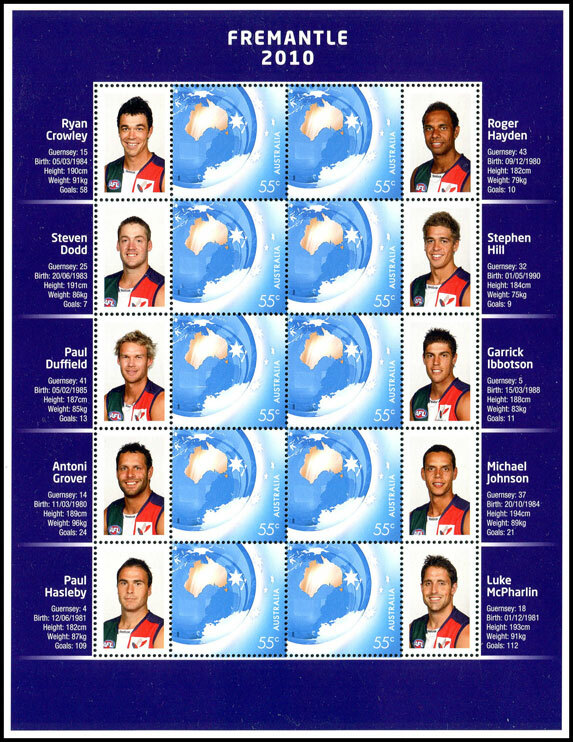 Stamp Bulletin also lists March as the issue date for the NRL packs, as of mid-April these are still unavailable. The stamps in the sheetlets are essentially the same as the original Globe and Map issued on 23 September 2008. There are some very minor shade differences, but this is inherent of the lithographic process.